For other uses, see Roy Rogers (disambiguation). Roy Rogers (born Leonard Franklin Slye, November 5, 1911 – July 6, 1998) was an American singer and actor. 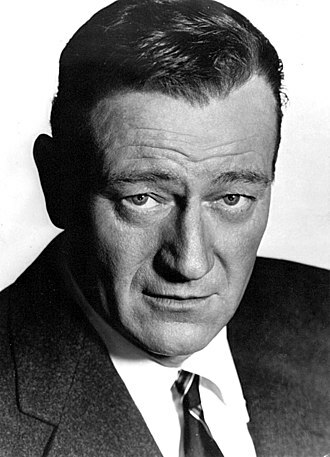 He was one of the most popular Western stars of his era. Known as the "King of the Cowboys", he appeared in over 100 films and numerous radio and television episodes of The Roy Rogers Show. 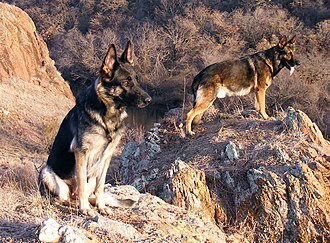 In many of his films and television episodes, he appeared with his wife, Dale Evans; his golden palomino, Trigger; and his German shepherd dog, Bullet. His show was broadcast on radio for nine years and then on television from 1951 through 1957. His productions usually featured a sidekick, often Pat Brady, Andy Devine, George "Gabby" Hayes, or Smiley Burnette. In his later years, Rogers lent his name to the franchise chain of Roy Rogers Restaurants. Rogers was born Leonard Slye, the son of Mattie (née Womack) and Andrew "Andy" Slye in Cincinnati, Ohio. The family lived in a tenement on 2nd Street, where Riverfront Stadium would later be constructed (Rogers later joked that he was born at second base). Dissatisfied with his job and city life, Andy and his brother Will built a 12-by-50-foot (3.7 m × 15.2 m) houseboat from salvage lumber, and in July 1912 the Slye family traveled up the Ohio River towards Portsmouth. Desiring a more stable existence in Portsmouth, they purchased land on which to build a house, but the Great Flood of 1913 allowed them to move the houseboat to their property and continue living in it on dry land. In 1919, the Slye family purchased a farm in Duck Run, near Lucasville, Ohio, about 12 miles (19 km) north of Portsmouth, and built a six-room house. Andy Slye soon realized that the farm alone would not provide sufficient income for his family, so he took a job at a Portsmouth shoe factory, living in Portsmouth during the week and returning home on weekends, bearing gifts following paydays. A notable gift was a horse on which young Len Slye learned the basics of horsemanship. Living on the farm with no radio, the family made their own entertainment. On Saturday nights, they often invited neighbors over for square dances, during which Len would sing, play mandolin, and call the square dances. He also learned to yodel during this time, and he and his mother would use different yodels to communicate with each other across distances on the farm. By 1929, after his older sister Mary and her husband had moved to Lawndale, California. Len and his father quit their factory jobs, packed up their 1923 Dodge, and drove the family to California to visit Mary. They stayed for four months before returning to Ohio. Soon after returning, Len had the opportunity to travel again to California with Mary's father-in-law, and the rest of the family followed in the spring of 1930. The Slye family rented a small house near Mary, and Len and his father found employment driving gravel trucks for a highway construction project. Len auditioned in 1931 on a radio show in Inglewood, California, and joined the short-lived singing group, the Rocky Mountaineers, who were superseded in 1933 by the O-Bar-O Cowboys. 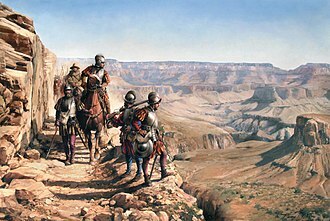 The singers toured New Mexico and Arizona on a shoestring in the heat of summer. Even finding food was a real challenge. While performing in Roswell, New Mexico, a caller to a radio station, Grace Arline Wilkins, promised Rogers that she would bake him a pie if he sang "The Swiss Yodel." Romance blossomed, and the couple married in Roswell in 1936. Arline died in childbirth a decade later, and Rogers subsequently wed Dale Evans. For a brief time in 1933, Lubbock, Texas, was headquarters for the O-Bar- O Cowboys. The Cowboys made little money performing at dances and little theaters in such places as Brownfield and Littlefield, Texas. The O-Bar- O Cowboys disbanded in Lubbock. Rogers and his associates, Bob Nolan and Tim Spencer, went on to organize the Sons of the Pioneers in 1934. From his first film appearance in 1935, Slye worked steadily in Western films, including a large supporting role as a singing cowboy while still billed as Leonard Slye in a Gene Autry movie. In 1938, Autry demanded more money for his work, and there was a competition for a new singing cowboy. Many singers sought the job, including Willie Phelps of the Phelps brothers, who appeared in early Western movies. 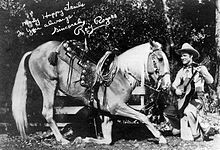 Slye ended up winning the contest and was given the stage name Roy Rogers by Republic Pictures, shortening his first name[clarify] and combining it with the surname of Will Rogers. He was assigned the leading role in Under Western Stars. Rogers became a matinee idol, a competitor with Autry as the nation's favorite singing cowboy. 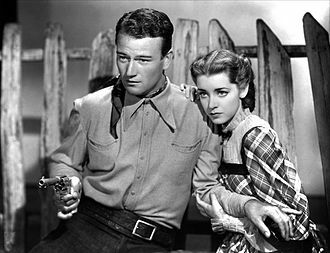 In addition to his own movies, Rogers played a supporting role in the John Wayne classic Dark Command (1940). Rogers became a major box office attraction. Unlike other stars, the vast majority of his leading roles allowed him to play a character with his own name, in the manner of Gene Autry. In the Motion Picture Herald Top Ten Money-Making Western Stars poll, Rogers was listed for 16 consecutive years, from 1939 to 1954, holding first place from 1943 to 1954 until the poll ceased. He appeared in the similar BoxOffice poll from 1938 to 1955, holding first place from 1943 to 1952. In the final three years of that poll he was second only to Randolph Scott. These two polls are only an indication of the popularity of series stars, but Rogers also appeared in the Top Ten Money Making Stars Poll of all films in 1945 and 1946. Rogers owned a Hollywood production company, which produced his own series. It also filmed other undertakings, including the 1955–1956 CBS Western series Brave Eagle, starring Keith Larsen as a young, peaceful Cheyenne chief, Kim Winona as Morning Star, his romantic interest, and the Hopi Indian Anthony Numkena as Keena, Brave Eagle's foster son. 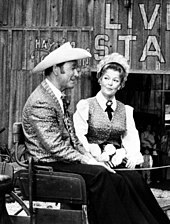 Rogers returned to Lubbock in 1970 to headline the Texas Tech University Intercollegiate Rodeo with his wife and co-star Dale Evans. In 1975, his last motion picture, Macintosh and T.J. was filmed at the 6666 Ranch in King County ninety miles east of Lubbock and near the O-Bar-O Ranch in Kent County. In 1932 a palomino colt foaled in California was named "Golden Cloud"; when Rogers acquired him, he renamed him Trigger. In 1932, Rogers met an admirer named Lucile Ascolese. They were married in 1933 by a justice of the peace in Los Angeles; the marriage failed, and the couple divorced in 1936. Rogers then went on tour with the O-Bar-O Cowboys and in June 1933 met Grace Arline Wilkins at a Roswell, New Mexico, radio station. They were married in Roswell on June 11, 1936, after having corresponded since their first meeting. 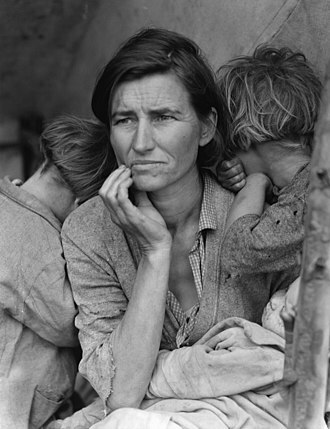 In 1941, the couple adopted a daughter, Cheryl Darlene. Two years later, Grace gave birth to a daughter, Linda Lou. A son, Roy, Jr. ("Dusty"), was born in 1946. Grace died of complications from the birth a few days later, on November 3. 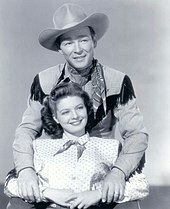 Rogers met Dale Evans in 1944 when they were cast in a film together. They fell in love soon after Grace's death, and Rogers proposed to her during a rodeo at Chicago Stadium. They married on New Year's Eve in 1947 at the Flying L Ranch in Davis, Oklahoma, where they had filmed Home in Oklahoma a few months earlier. Together they had five children: Robin Elizabeth, who had Down syndrome and died of complications with mumps shortly before her second birthday, and four adopted children—Mimi, Dodie, Sandy, and Debbie. Evans wrote about the loss of their daughter in her book Angel Unaware. Rogers and Evans remained married until his death in 1998. In 1955 Rogers and Evans purchased a 168-acre ranch near Chatsworth, California, complete with a hilltop ranch house, expanding it to 300 acres. After their adopted daughter Debbie was killed in a church bus accident in 1964, they moved to the 67-acre Double R Bar Ranch in Apple Valley, California, living in the nearby town. Rogers received recognition from the State of Arkansas, appointed by the governor of that state with an Arkansas Traveler certificate. 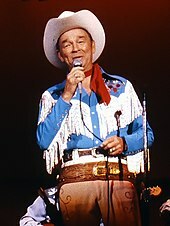 Rogers was also twice elected to the Country Music Hall of Fame, first as a member of the Sons of the Pioneers in 1980, and again as a soloist in 1988. 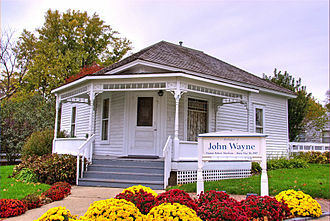 As of July 2013, he was the only person elected to the Country Music Hall of Fame twice. In 2001, a Golden Palm Star on the Palm Springs, California, Walk of Stars was dedicated to him and Dale Evans. Rogers' cultural influence is reflected in numerous songs, including "If I Had a Boat" by Lyle Lovett, "Roy Rogers" by Elton John on his 1973 album Goodbye Yellow Brick Road, and "Should've Been a Cowboy" by Toby Keith. Rogers himself makes an appearance in the music video for the song "Heroes and Friends" by Randy Travis. Rogers is referenced in numerous films, including Die Hard (1988) in which the Bruce Willis character John McClane used the pseudonym "Roy" and remarks, "I was always kinda partial to Roy Rogers actually." In the television series American Dad!, the character Roger uses "Roy Rogers" as a pseudonym in the episode "Roy Rogers McFreely". In the movie "City Slickers", the Jack Palance character Curly, sings the song "Tumbling Tumbleweeds" while the Billy Crystal character Mitch is playing the harmonica. ^ a b c d e f g h i j k l m n o p q r Zwisohn, Laurence. 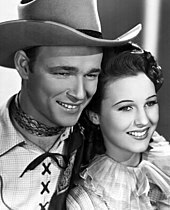 "Happy Trails: The Life of Roy Rogers". RoyRogers.com. Retrieved April 29, 2014. ^ a b c Chuck Lanehart (March 9, 2019). "Caprock Chronicles: The King of the Cowboys: Roy Rogers' Hungry Life on the Llano Estacado". Lubbock Avalanche-Journal. Retrieved March 9, 2019. ^ a b c d "Sons of the Pioneers". Country Music Television. Retrieved April 29, 2014. ^ "Sons of the Pioneers". Encyclopedia.com. Retrieved August 27, 2011. ^ "Motion Picture Herald and Boxoffice Polls". B-westerns.com. Retrieved October 31, 2011. ^ "Top Ten Money Making Stars". Quigleypublishing.com. Archived from the original on 2014-12-21. Retrieved 2013-08-09. ^ Miller Davis, Elise (1955). The Answer Is God. New York: McGraw-Hill. pp. 104–112. LCCN 55009539. ^ "Fuller Seminary: The Original Five". www.seekgod.ca. Retrieved 2015-11-05. ^ "Wonder Woman: Pilot: The New Original Wonder Woman". Thewb.com. Retrieved October 31, 2011. ^ "Triggairo Horse Pedigree". Pedigree Online Thoroughbred Database. Retrieved October 31, 2011. ^ a b Phillips, pp. 13–15. ^ Beale, Lauren (April 15, 2019). "Time to round up a buyer for Roy Rogers' old ranch in Victorville". Los Angeles Times. Retrieved 2019-04-16. ^ Brooks, Patricia; Brooks, Jonathan (2006). "Chapter 8: East L.A. and the Desert". Laid to Rest in California: A Guide to the Cemeteries and Grave Sites of the Rich and Famous. Guilford, Connecticut: Globe Pequot Press. pp. 235–7. ISBN 978-0762741014. OCLC 70284362. ^ "Hollywood Star Walk: Roy Rogers". Los Angeles Times. July 7, 1998. Retrieved April 29, 2014. ^ a b "Legacy". Golden Boot Awards. Retrieved April 29, 2014. ^ "Great Western Performers". National Cowboy & Western Heritage Museum. Retrieved April 29, 2014. ^ "Roy Rogers". Country Music Hall of Fame. Retrieved April 29, 2014. ^ "Palm Springs Walk of Stars" (PDF). Palm Springs Walk of Stars. Archived from the original (PDF) on October 13, 2012. Retrieved August 9, 2013. ^ "The Screen's First Money-Spinneks for 1942". The Argus. Melbourne: National Library of Australia. 27 February 1943. p. 6, The Argus Week-end Magazine. Retrieved 5 October 2014. ^ "Bing Crosby America's Screen Favourite". The Argus. Melbourne: National Library of Australia. 24 March 1945. p. 8, The Argus Week-end Magazine. Retrieved 5 October 2014. ^ "Film Cable From Hollywood". Sunday Times. Perth: National Library of Australia. 2 December 1945. p. 5, Sunday Times Comics. Retrieved 5 October 2014. ^ "Box Office Stars". The News. Adelaide: National Library of Australia. 28 December 1945. p. 1. Retrieved 5 October 2014. ^ "The Box Office Draw". Goulburn Evening Post. New South Wales: National Library of Australia. 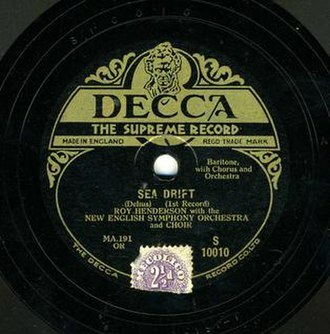 31 December 1948. p. 3, daily and evening edition. Retrieved 5 October 2014. ^ "Filmdom Ranks Its Money-Spinning Stars Best at Box-Office". Sydney Morning Herald. National Library of Australia. 30 March 1950. p. 12. Retrieved 5 October 2014. ^ "Comedians Top Films Poll". The Advocate. Burnie, Tasmania: National Library of Australia. 27 December 1952. p. 2. Retrieved 5 October 2014. ^ Whitburn, Joel (2011). Top Pop Singles 1955–2010. Record Research, Inc. p. 762. ISBN 0-89820-188-8. 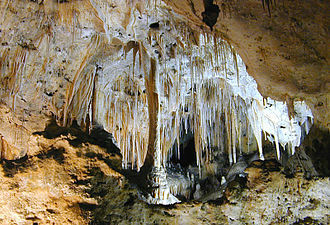 Zwisohn, Laurence (1998). Paul Kingsbury, ed. The Encyclopedia of Country Music. New York: Oxford University Press. pp. 456–57. ISBN 978-0195116717. Wikimedia Commons has media related to Roy Rogers. 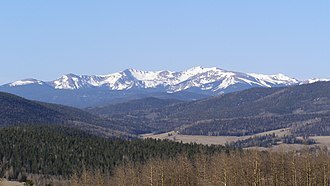 Littlefield is a city in and the county seat of Lamb County, United States. The population was 6,372 at the 2010 census and it is located in a significant cotton-growing region, northwest of Lubbock on the Llano Estacado just south of the Texas Panhandle. Littlefield has a large manufacturing plant operated by American Cotton Growers. Littlefield houses the Bill W. Clayton Detention Center, a 310-bed medium-security facility, which is named for the former Speaker of the Texas House of Representatives, who resided in Springlake. In July 1901, Littlefield purchased the southern, or Yellow Houses, division of the XIT Ranch, at that time, the ranch covered 312,175 acres in Lamb, Hockley and Cochran Counties. 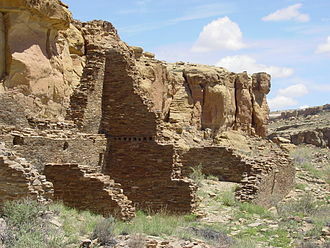 Littlefield became a stop on the Panhandle and Santa Fe Railway in 1913, Littlefield is located at 33°55′02″N 102°19′30″W. According to the United States Census Bureau, the city has an area of 6.3 square miles. 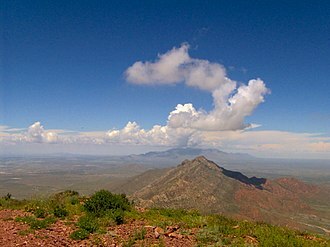 Much like nearby Lubbock, Littlefield has a mild, semiarid climate, on average, Littlefield receives 18 inches of precipitation per year. Summers in Littlefield are hot, with temperatures in the 90s °F. 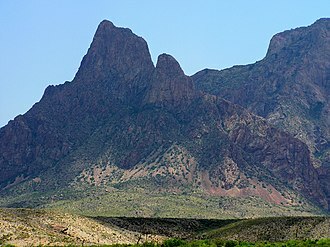 The highest recorded temperature was 112°F in 1994, winter days in Littlefield are typically sunny and relatively mild in the mid 50s °F, but nights are cold with temperatures dipping to the mid 20s °F. The lowest recorded temperature was -6°F in 1979, the economy of Littlefield is diverse but traditionally depends on cotton. American Cotton Growers Denim Textile Plant of Littlefield is the largest employer in Littlefield, Plains Cotton Cooperative Association of Lubbock, a farmer-owned cotton-marketing cooperative purchased the denim plant from ACG in 1987. American Cotton Growers announced the closure of their Littlefield denim mill on Friday Nov 07,2014, the plant closed in 2015, and was purchased by a dairy co-operative, Select Milk Producers. The city is headquarters to Lowes Market, a store chain in the American Southwest. In August 2008, Littlefield was selected as the new location for a biodiesel plant, Littlefield is the hometown of singer/songwriter Waylon Jennings. Inglewood is a city in southwestern Los Angeles County, southwest of downtown Los Angeles. As of the 2010 U. S. Census, the city had a population of 109,673 and it was incorporated on February 14,1908. The city is in the South Bay region of Los Angeles County, Los Angeles Stadium at Hollywood Park is currently under construction in the city and when completed around 2019 will be the new home of both the Los Angeles Rams and the Los Angeles Chargers. 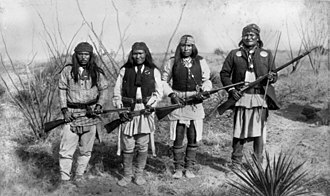 The earliest residents of what is now Inglewood were Native Americans who used the springs in todays Edward Vincent Jr. Park. Local historian Gladys Waddingham wrote that these took the name Centinela from the hills that rose gradually around them. These settlers, she wrote, were ordered by the officials of the San Gabriel Mission to graze their animals on the side of Los Angeles in order not to infringe on Mission lands. Later Avila constructed an adobe on a slight rise overlooking the creek that ran from Centinela Springs all the way to the ocean. 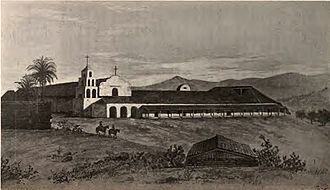 According to the LAOkay web site, this adobe was built where the present baseball field is in the park, two years later, Waddingham writes, Ygnacio was granted the 2, 220-acre Rancho Aguaje de la Centinela even though this land had already been claimed by Avila. Inglewood Park Cemetery, a widely used cemetery for the region, was founded in 1905. The city has been home to the Hollywood Park Racetrack from 1938 to 2013, fosters Freeze, the first Soft Serve ice cream chain in California, was founded by George Foster in 1946 in Inglewood. Inglewood was named an All-America City by the National Civic League in 1989, on January 12,2016, Inglewood was selected to be the home of the Los Angeles Rams of the National Football League. The raid led to the death of one of the culprits. A jury returned a not guilty verdict for all defendants who completed the trial and it was this scandal, according to the Los Angeles Times, that eventually led to the outlawing of the Klan in California. The Klan had a chapter in Inglewood as late as October 1931, no blacks had ever lived in Inglewood, Gladys Waddingham wrote, but by 1960, they lived in great numbers along its eastern borders. 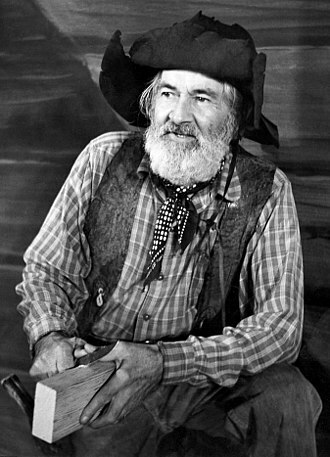 George Francis Gabby Hayes was an American radio and television actor. 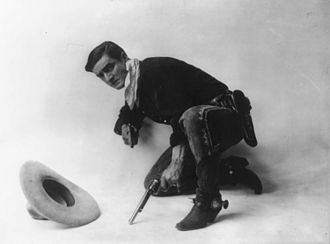 He was best known for his numerous appearances in Western films as the sidekick of the leading man. 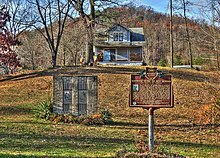 Hayes was born the third of seven children in his fathers hotel in Stannards, New York and he was the son of Elizabeth Morrison and Clark Hayes. His mothers brother was George F. Morrison, vice president of General Electric, Hayes did not come from a cowboy background, he did not know how to ride a horse until he was in his forties and had to learn for film roles. His father, Clark Hayes, operated the Hayes Hotel in Stannards and was involved in oil production. George Hayes grew up in Stannards and attended Stannards School and he played semiprofessional baseball while in high school. He ran away from home in 1902, at 17, joined a company, apparently traveled for a time with a circus. Hayes married Olive E. Ireland, the daughter of a New Jersey glass finisher and she joined him in vaudeville, performing under the name Dorothy Earle. 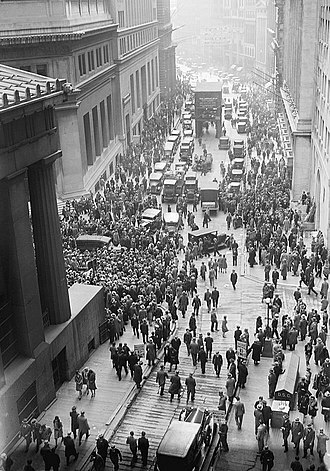 Hayes had become so successful that by 1928, at age 43, he was able to retire to a home on Long Island in Baldwin and he lost all his savings the next year in the 1929 stock-market crash. 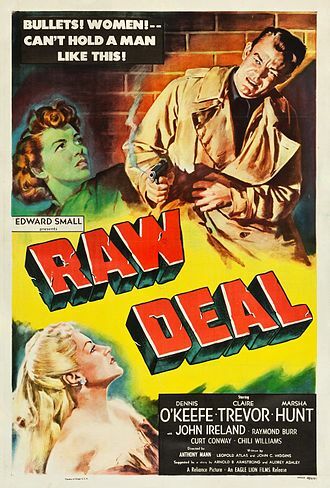 Earle persuaded Hayes to try his luck in films, and the moved to Los Angeles. They remained together until her death on July 5,1957, after his move to Los Angeles, according to interviews, Hayes had a chance meeting with the producer Trem Carr, who liked his look and gave him 30 roles over the next six years. 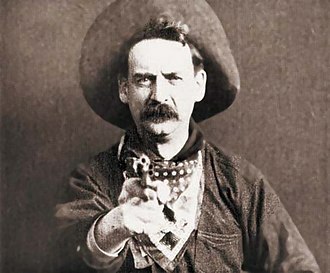 In his early career, Hayes was cast in a variety of roles, including villains and he found a niche in the growing genre of Western films, many of which were series with recurring characters. Ironically, Hayes would admit he had never been a big fan of Westerns, from 1935 to 1939, Hayes played the part of Windy Halliday, the sidekick to Hopalong Cassidy. 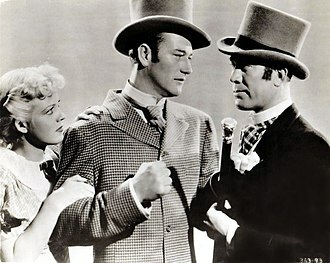 In 1939, Hayes left Paramount Pictures in a dispute over his salary, Paramount held the rights to the name Windy Halliday, so the nickname Gabby was created for Hayess character. Trigger was a 15.3 hands palomino horse made famous in American Western films with his owner and rider, cowboy star Roy Rogers. Trigger was born in San Diego, though often mistaken for a Tennessee Walking Horse, his sire was a Thoroughbred and his dam a grade mare who, like Trigger, was a palomino. Horses other than Golden Cloud portrayed Trigger over the years, none of which was related to Golden Cloud, though Trigger remained a stallion his entire life, he was never bred and has no descendants. On the other hand, Roy Rogers used Trigger Jr, Golden Cloud made an early appearance as the mount of Maid Marian, played by Olivia de Havilland in The Adventures of Robin Hood. 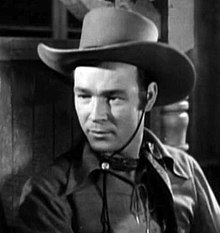 A short while later, when Roy Rogers was preparing to make his first movie in a role, he was offered a choice of five rented movie horses to ride. Rogers bought him eventually in 1943 and renamed him Trigger for his quickness of both foot and mind, Trigger learned 150 trick cues and could walk 50 feet on his hind legs. They were said to have run out of places to cue Trigger, Trigger became such a ham that as soon as he heard applause he would start bowing and ruin that trick. He could sit in a chair, sign his name X with a pencil, lie down for a nap, Rogers most carefully guarded trade secret was to get Trigger housebroken. Spending as much time as he does in hotels and hospitals, —Glenn Randall, wrangler with Hudkins Stables. 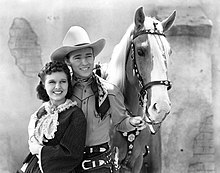 Trigger became the most famous horse in film entertainment, even having his own Dell comic book recounting his exploits, Roy Rogers made many personal appearances with Trigger in tow. More than once Rogers escorted Trigger up 3-4 flights of stairs at hospitals to visit sick children. After the original Trigger died in 1965 at Rogers Hidden Hills, California ranch, Rogers arranged for Everett Wilkensen of Bischoffs Taxidermy in Los Angeles, the mount was moved with the museum to first Victorville, California in 1976, and to Branson, Missouri in 2003. At some point, a 24-foot replica of a rearing Trigger was produced to sit atop the Roy Rogers Museum in Victorville, the 1300-pound replica could be seen from the freeway and served as a landmark until the museum closed and moved to Branson. Tulare is a city in Tulare County, California. The population was 59,278 at the 2010 census, Tulare is located in the heart of the Central Valley, eight miles south of Visalia and sixty miles north of Bakersfield. The city is named for the currently dry Tulare Lake, once the largest freshwater lake west of the Great Lakes. The citys mission statement is, To promote a quality of life making Tulare the most desirable community in which to live, play, worship, the Stockton seaport is 170 miles away, and the Sacramento port is 207 miles away. The Los Angeles and San Francisco ports are each approximately 200 miles away, the English name Tulare derives ultimately from Classical Nahuatl tōllin, sedge or reeds, by way of Spanish tule, which exists in English as a loanword. 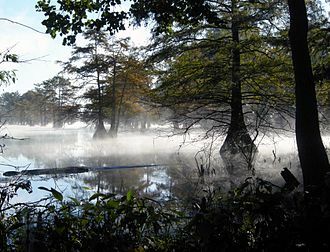 The name is cognate with Tula and Tultitlán de Mariano Escobedo, the Yokuts people built reed boats and fished in what was to be called Tulare Lake in their homeland for centuries, until the invasion and settlement by the Spanish and American pioneers. When California became a state in 1850, Tulare did not yet exist as a town, Tulare was founded in 1872, by the Southern Pacific Railroad. 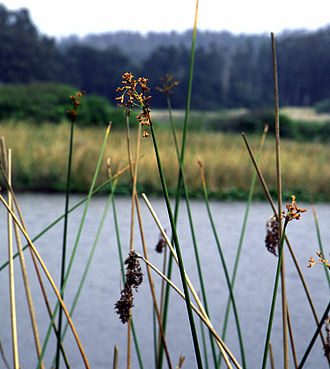 The town was named for Lake Tulare, the lake had been named for the tule rush plant, a species of bulrush that predominantly lined the marshes and sloughs of its shore. Transportation was the first impetus behind the establishment of the town, Tulare flourished as the headquarters of the railroad in the area. The town suffered through many challenges, but despite burning down. In 1891, the railroad moved its headquarters to Bakersfield, decimating the community, although the railroad was gone, the community of Tulare struggled to become an agricultural center for California, which it is today. Due to the inadequate 10 inches of rainfall per year, water resources had to be found, in order to bring water to Tulare, citizens established the Tulare Irrigation District and issued $500,000 in bonds to build an extensive canal system carrying water from the Sierra Nevada. Del Monte Foods, Inc is a North American food production and distribution company headquartered at 3003 Oak Road, Walnut Creek, California, USA. Del Monte Foods is one of the countrys largest producers and marketers of branded processed food for the U. S. retail market and its portfolio of brands includes Del Monte, S&W, College Inn, Fruit Burst. Nils Lommerin, is the current Chief Executive Officer of the Del Monte Foods, several Del Monte products hold the number one or two market share position. The company produces and markets private label food, in 2014, Del Monte Foods, Inc.67 billion. Assets that are under Del Monte Foods, Inc. but were not part of the deal will continue to operate as a company under the name Big Heart Pet Brands. 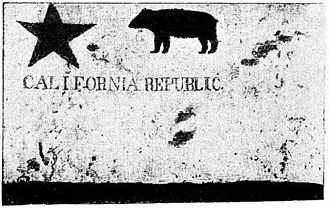 In the 1870s and 1880s, California became a producer of fruits. By 1892, the Del Monte brand was introduced when the firm expanded its business, in 1898, the California Fruit Canners Association formed when 18 West Coast canning companies merged. The Del Monte brand was one of several brands marketed by the new company and it introduced the Del Monte Shield in 1909. 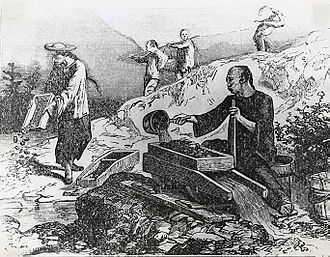 The new company grew to more than 60 canneries in Washington, Idaho, Utah. 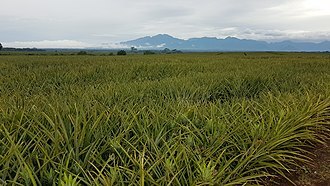 In 1917, it acquired pineapple farms and a cannery in Hawaii and, in the 1920s, added canneries in Florida, after WWII, it constructed or purchased more facilities overseas. These multinational operations made the name California Packing Corporation obsolete, and in June 1967, Del Monte became part of R. J. After being acquired by Kohlberg Kravis Roberts in 1988, RJR Nabisco sold several Del Monte divisions, the fresh fruit business was sold to Polly Peck. RJR Nabisco retained Del Monte Canada and Venezuela, the remaining food processing divisions, known as Del Monte Foods, were sold to Merrill Lynch, Citicorp Venture Capitol, and Kikkoman in 1989. Kikkoman separately acquired Del Monte brand in Asia, in 1990, the European division was subject to a management buyout and Hawaiian Punch was sold to Procter & Gamble. Del Monte sold part of its Philippines division in 1991 and the remainder in 1996, in 1993, Del Montes dried fruit division was sold to Yorkshire Food Group. Portsmouth is a city in and the county seat of Scioto County, United States. It lies in far southern Ohio, just east of the mouth of the Scioto River at the Ohio River, the population was 20,226 at the 2010 census. According to historian Charles Augustus Hanna, a Shawnee village was founded at the site of modern-day Portsmouth in late 1758, Portsmouths European-American roots date to the 1790s, when the small town of Alexandria was founded west of Portsmouths site. Alexandria was flooded numerous times by the Ohio and the Scioto rivers, in 1803, Henry Massie spotted a place to move the town away from the flood plains. He began to plot the new city by mapping the streets, Portsmouth was founded in 1803 and was established as a city in 1815. Portsmouth growth continued with the completion of the Ohio and Erie Canal, the construction of the N&W railyards and the B&O junction at the city stimulated growth, with railroads soon carrying more freight than the canal. By the end of the 19th century, Portsmouth became one of the most important cities on the Ohio River between Pittsburgh and Cincinnati, wheeling-Pittsburgh Steel employed over one thousand people. There were 100 other manufacturing companies producing goods from furniture to engines and shipping growth greatly benefited Boneyfiddle, where grand buildings were constructed with the wealth from the commerce. As time passed, much of the commerce began to move towards Chillicothe Street, while Boneyfiddle is receiving new life, it is a shadow of its former self. Another notable part of Portsmouths history in the 19th century was its importance on the Underground Railroad, fugitive slaves used this route to continue north to Detroit and into Canada to gain freedom. The population peaked at just over 42,000 in 1930, and by the 1950 census, foreign competition and industrial restructuring resulted in most of the industrial jobs on which Portsmouths economy was based moving out of the area. Following these declines, in 1980 when Empire-Detroit Steel-Portsmouth Works suspended local operations after the sale of the plant to Armco Steel. Armco Steel closed the plant because they did not want to replace the obsolete Open Hearth Furnaces with the more efficient basic oxygen steel furnaces, the plant needed a continuous caster to replace the obsolete soaking pits and blooming mill in 1995. The Great Flood of 1913 occurred between March 23 and March 26, after major rivers in the central and eastern United States flooded from runoff and several days of heavy rain. Related deaths and damage in the United States were widespread and extensive, while the exact number is not certain, flood-related deaths in Ohio and eleven other states are estimated at approximately 650. The official death toll range for Ohio falls between 422 and 470, flood-related death estimates in Indiana range from 100 to 200. More than a million people were left homeless. The death toll from the flood of 1913 places it second to the Johnstown Flood of 1889 as one of the deadliest floods in the United States, the flood remains Ohios largest weather disaster. In the Midwest damage estimates exceeded a third of a billion dollars, damage from the Great Dayton Flood at Dayton, exceeded $73 million. Indiana’s damages were estimated at $25 million, further south, along the Mississippi River, damages exceeded $200 million. The Ohio Conservancy Act, which was signed by the governor of Ohio in 1914, the act allowed for the establishment of conservancy districts with the authority to implement flood control projects. 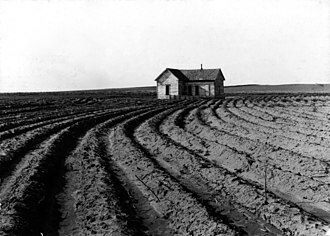 The storm system produced the flood in late March 1913 began with a typical winter storm pattern. Strong Canadian winds stalled a high-pressure system off Bermuda and delayed the normal flow of a low-pressure system. At least two low-pressure systems moving along the trough caused heavy rain over the period between March 23 and March 26. As the storm gained strength on Sunday, March 23, high winds, hail and tornadoes arrived in the Great Plains, the South, major tornadoes hit Omaha, Lone Peach and Terre Haute, Indiana. On Monday and Tuesday, March 24 and 25,3 to 8 inches of rain fell in Ohio, major rivers in Indiana and Ohio experienced heavy runoff. 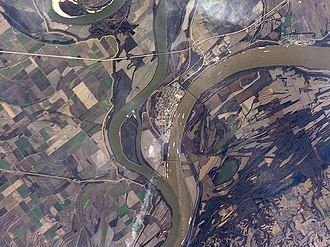 Downstream, where the Ohio River enters the Mississippi River, the water level broke record highs to that time as the water flowed south to the Gulf of Mexico. The turf infield and dirt "slide pits" can be seen in this April 1995 photograph. Cinergy Field after the left and center field stands were removed. Cinergy Field during a Cincinnati Reds game vs. the St. Louis Cardinals on August 23, 2001. Construction of Great American Ballpark is visible in the background. Littlefield water tower advertises home-town celebrity Waylon Jennings. Devine's star on the Hollywood Walk of Fame, 6366 Hollywood Blvd. Roy Rogers' picture hangs in every restaurant. Roy Rogers Restaurant at the Indian Castle Service Plaza on the New York State Thruway.